G838 Owner's Club • View topic - Tangible progress on the M718! 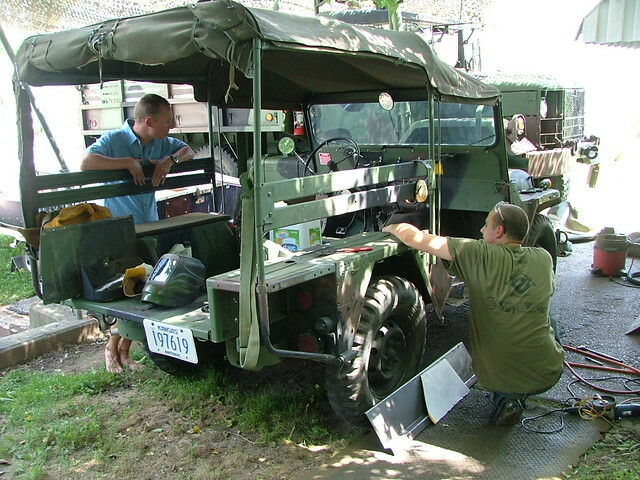 Tangible progress on the M718! 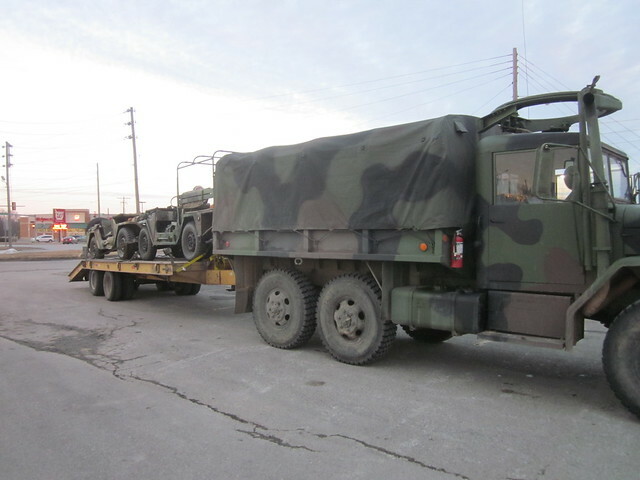 Re: Tangible progress on the M718! Transmission is bad. It was pretty scroungy looking to start with so we'll likely just try to source another one rather than spending all manner of time and resources messing with this one again. 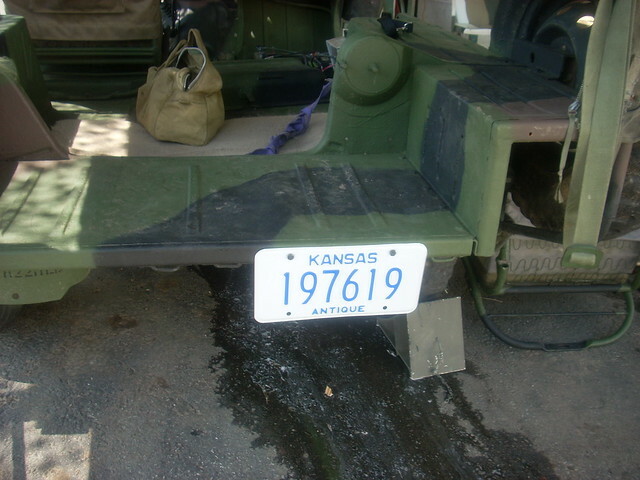 We did run it by the Kansas VIN inspection office while it was still on the equipment trailer and got it's antique vehicle inspection so Curfman can get his plates and title for it. Giant victory #1, it now has plates! 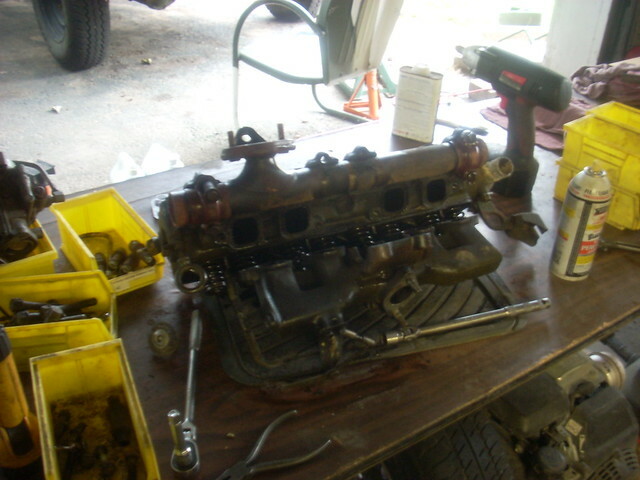 It has long had a cracked exhaust manifold which was quite troublesome and noisy. 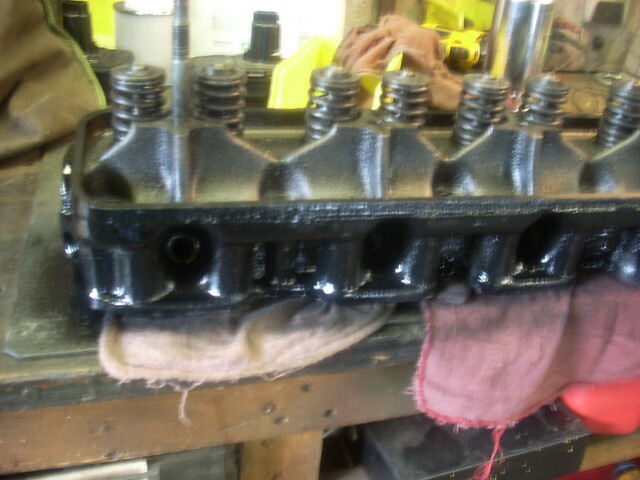 Curfman showed up last week and pulled the head off for refurb and replaced the faulty manifold while he was at it. 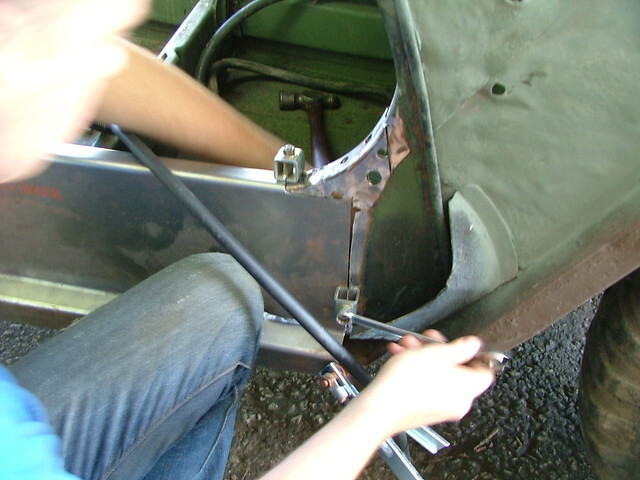 Like usual, the manifold bolts were quite troublesome although Curfman did manage to get at least most of them out without having to resort to drilling them. 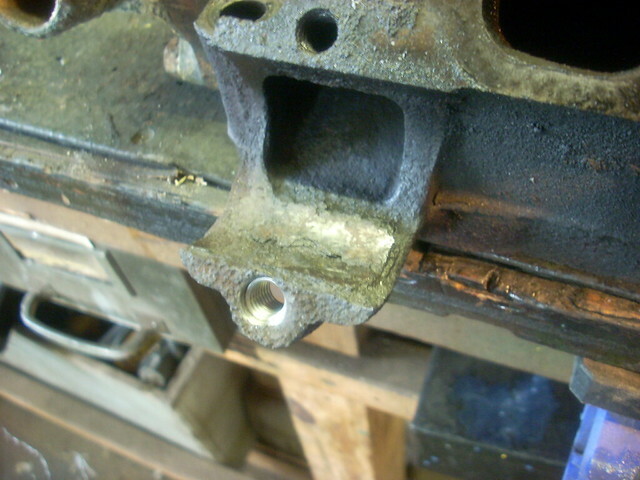 Like usual, rather than dealing with old beat up threads, we opted to helicoil all the holes. Again due to the lack of proper "you don't belong here green" engine paint we opted to paint the head like a later A2 replacement part. Curfman was back last weekend to address the fact that his charging system was not working. 6037 was still equipped with a 20 amp generator so we determined that rather than troubleshoot the existing system, it was a good time instead to just make the change over to a 60 amp alternator instead. 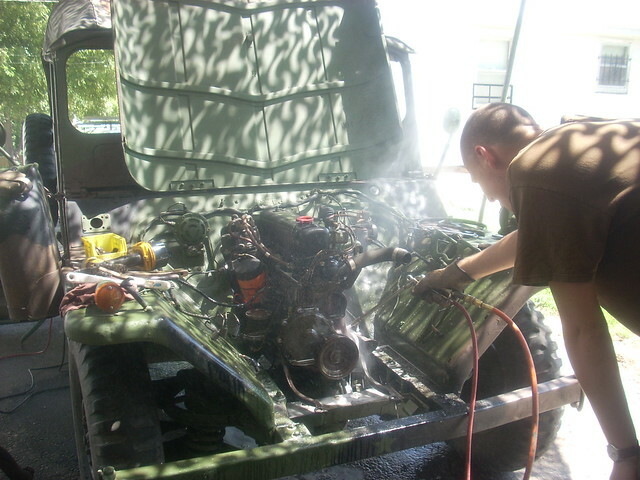 Here Henry has the grill and radiator off and is cleaning the engine area up with the Binks since we have very good access to everything with the charging system out of the way. Cleaned up area painted. 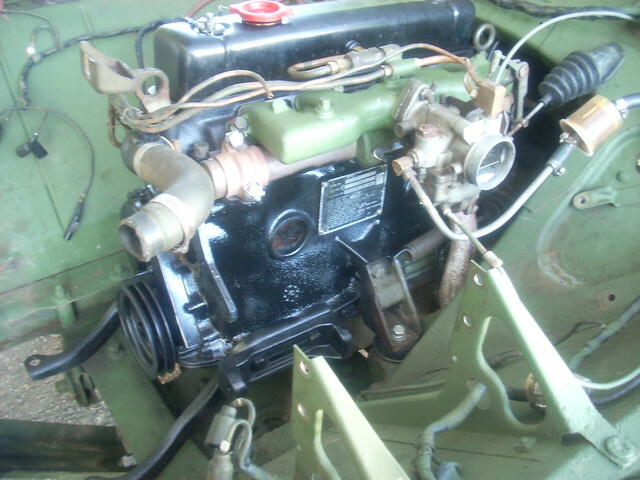 Water pump is off as well as one freeze plug in order to gain good access to the water jacket and get it good and flushed out. Again, an easy task to do now while everything is apart. 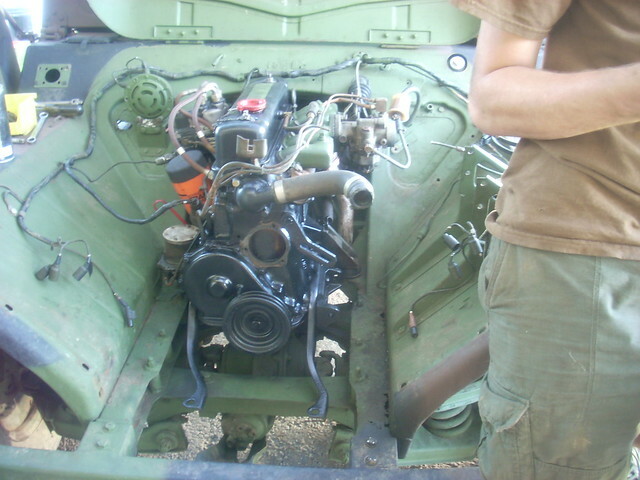 We made the adjustments to the harness to incorporate the change to alternator (easy) and got everything all wired up and charging like a dandy. 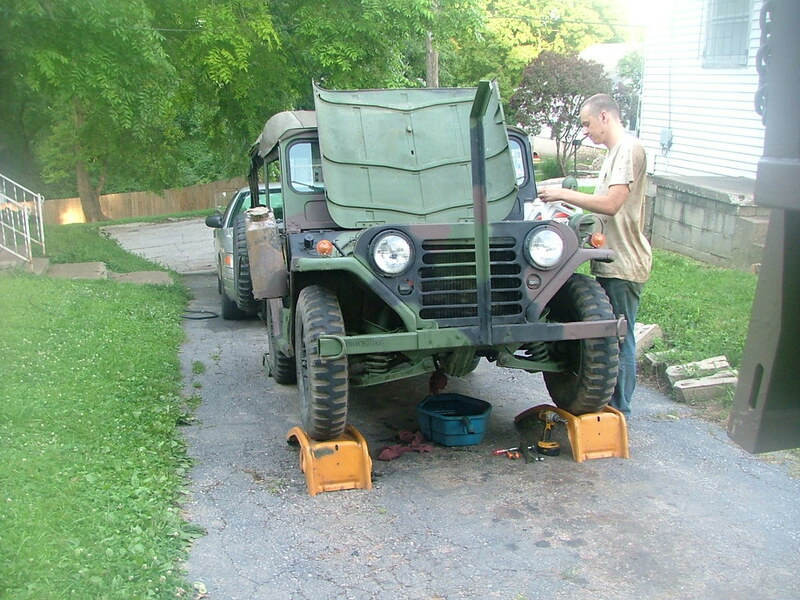 Curfman also fixed a few faulty gauges and did hit lube order while he was over. 6037 is ready to go tear up the roadways now. The ambulance has poor visibility. 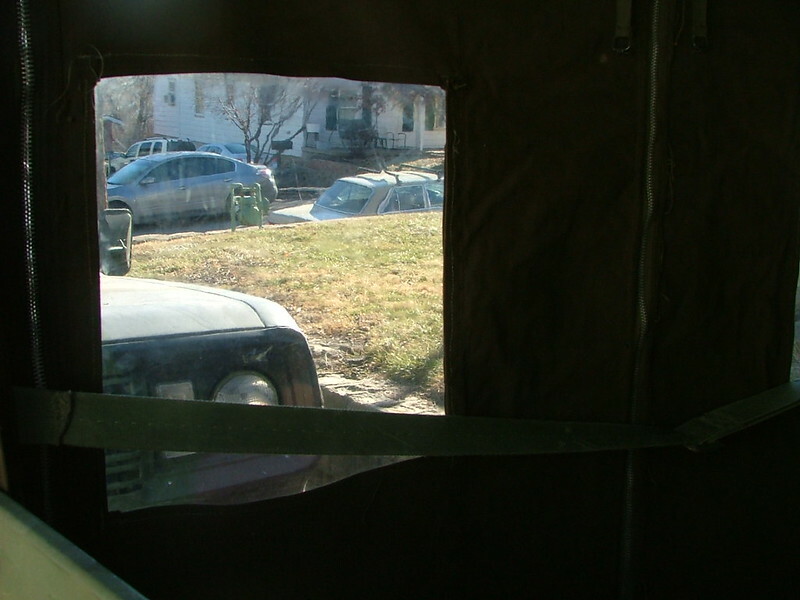 Much more so with dark red tinted windows like those seen on this old sun struck door here. We got the Necci sewing machine back from the Missouri Sewing machine and set to work remedying some of the ills of Curfmans top. As you can see, new windows are a HUGE improvement. 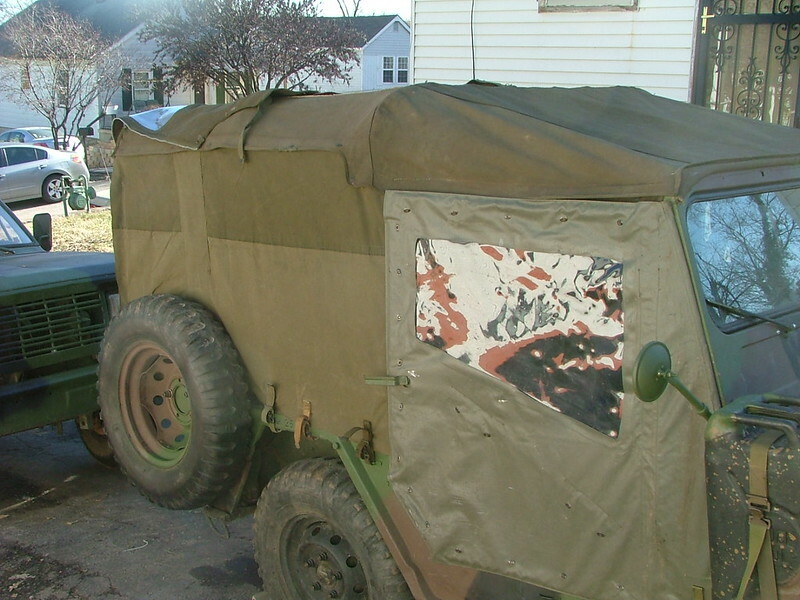 Feeling bold, we decided to take a whack at the damaged side curtain. 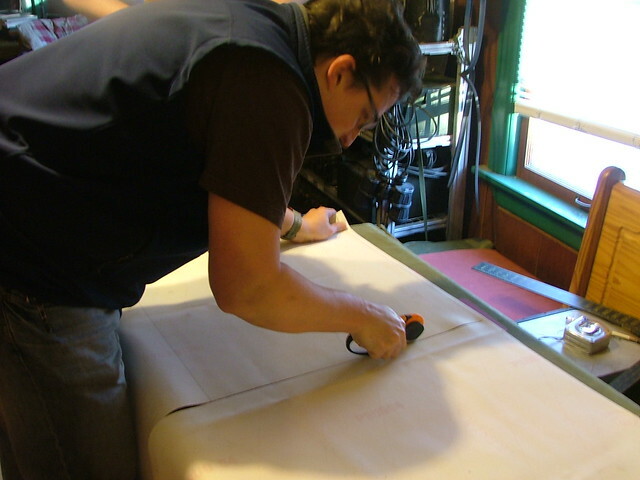 We laid the thing out across a piece of MKT canvas and cut a pattern out. 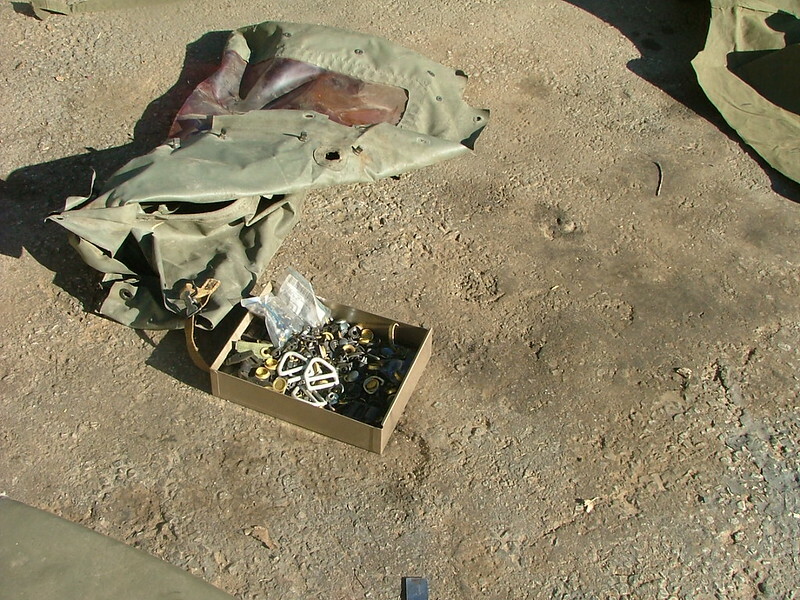 Next up, we dug in our tent/top hardware drawer of plenty to rummage out all the various turn snap thingies for it and in a few hours had ourselves a side cover. On and buttoned in. We're making the run down to DDAP in the M151s today so it'll be a welcome slice of heaven for Curfman to have a little wind break. 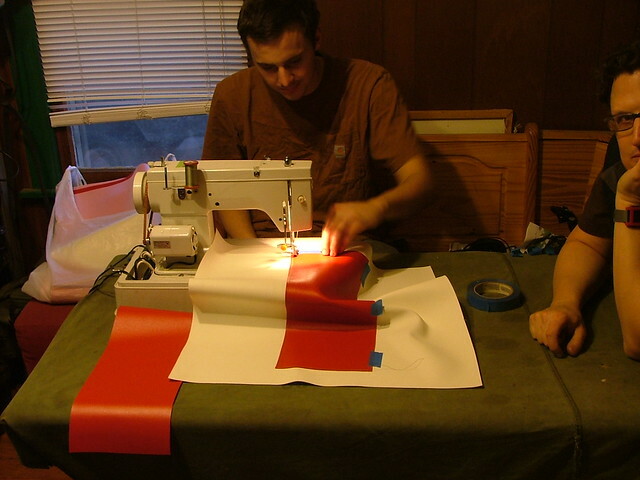 We'll likely take it home with us once we are done so we can add the edge tape and sew on the red cross. 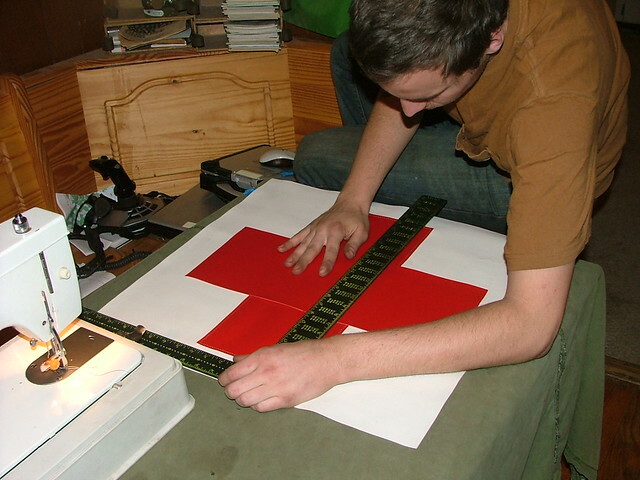 Curfman and Hoober sat down on Saturday and put together the red cross for the new canvas curtain. 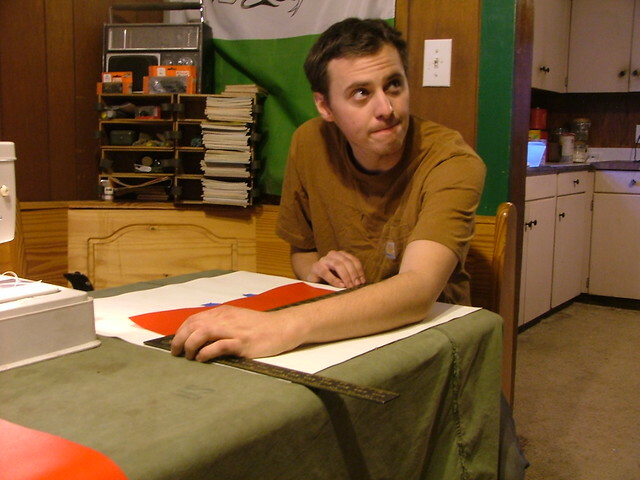 OK, Caught in a photo pose. 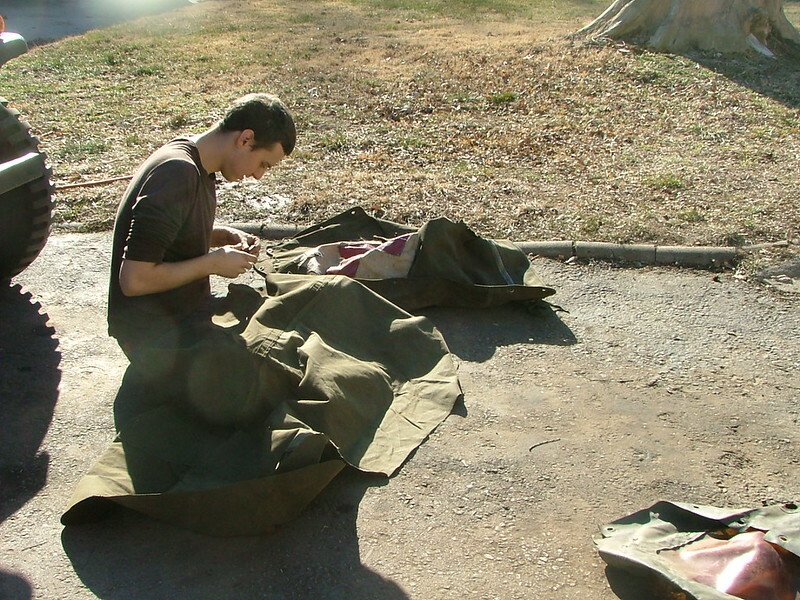 You are supposed to be using two hands while sewing but the giveaway is the guy on the right staring at the camera. "Don't look at the camera! Act like we are not here." How many of us have heard that one? Or being asked for your opinion of the war at a very inopportune time, like incoming fire! 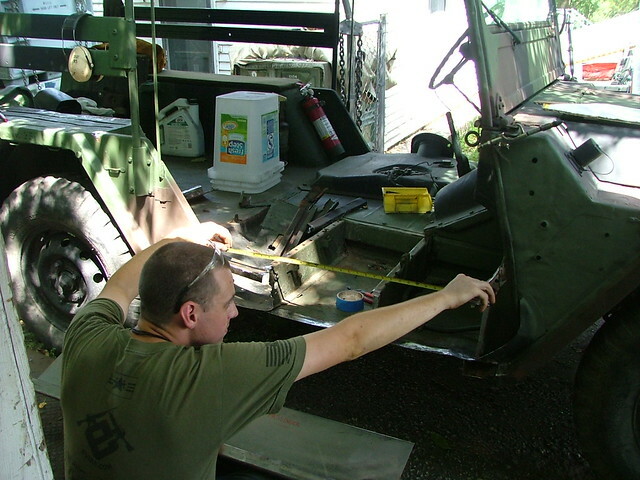 Other then low demand, it looks like it would be pretty easy to manufacture the rear floor extensions of the M718. That is true. There are a couple of little fiddly bits, bot nothing as serious or exact as say, those rear light mounts and holes you have been working on. So far there seems to be more of those extensions than there are ambulances. Will it ever Stop? Yo, I don't know! Turn out the lights and I'll glow! More to the point the end of East Wind is far from the end of projects around here and certainly nowhere near the end for the M718. Getting a new exhaust pipe section to deal with the last of the exhaust leaks. 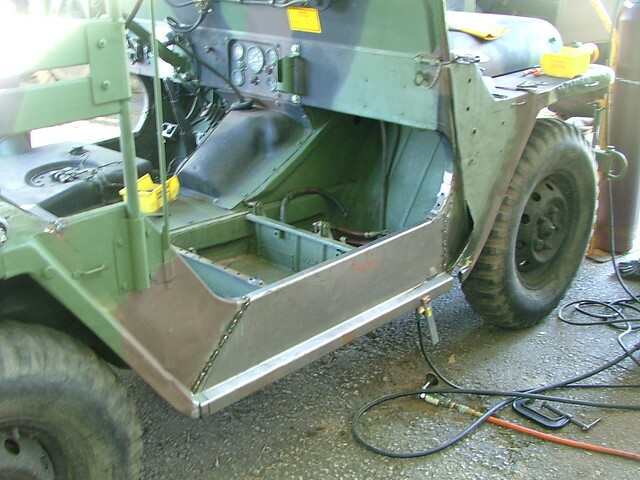 Side panel off for replacement. These two were certainly the most offensive parts of the truck. Having them replaced with new parts that Stagg scooped up from Guy at Findlay will really be a big step forward. Spare tire mount also off. We got a chance to take some pics of another M718 at the MVPA convention and Curfman plans to produce a bit more stout a of a spare mount that better matches the original. 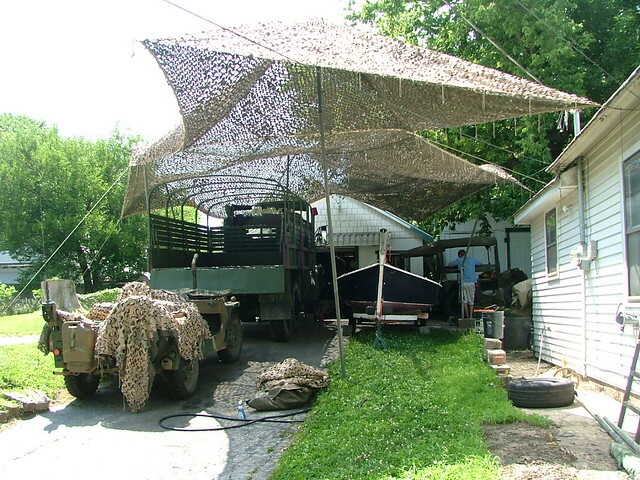 Shop rigged for hot weather operation. And can you believe it, after years of struggle with the little Matco MIG, I finally threw down the money for a new welder. 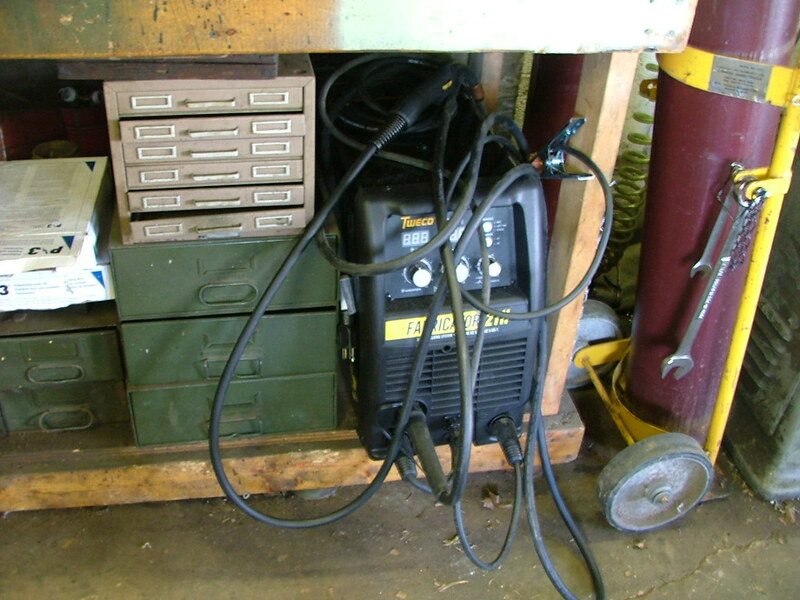 This one is a combo MIG/TIG/Stick unit that is a MUCH more capable unit. Awesome work! I lucked out and got mine most of the way done but I have another that needs TLC. I can only hope it comes out half as good as your 718. Tacked on the top, clamped down along the bottom edge. 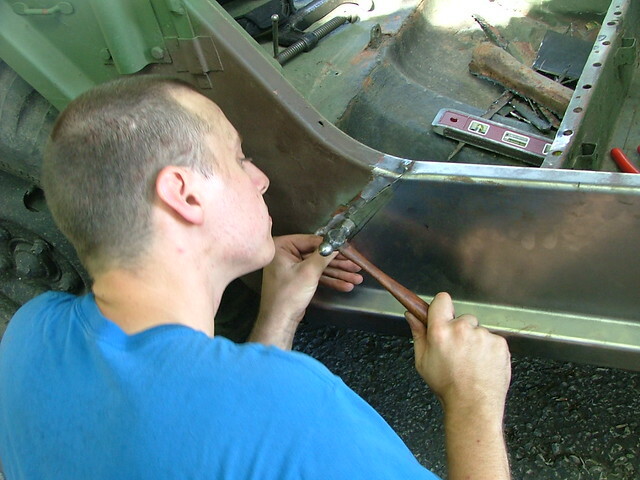 Fitting up the front edge. Tacked in place. 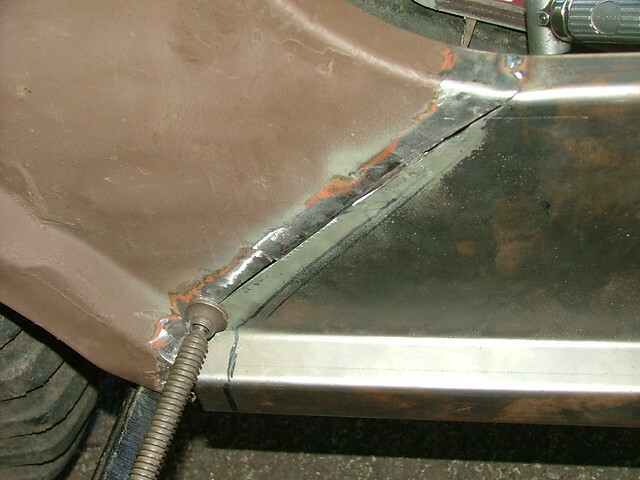 Additional bad areas cut away, ready to make use of left over bits from the panel.